FREE pair (2) of Breathable Pads with the purchase of your Bergan pet carrier. Help protect your carrier for years of traveling with your pet. Bergan pet carriers provide an unequaled pet-carrying experience that focuses on comfort and safety for your dog or cat. Now you and your pet can achieve maximum comfort while traveling. This affordable pet carrier is well made and will compress to fit underneath most airline seats. Lots of ventilation and a neat little zippered entrance so you can reach in and soothe your pet without compromising their safety. This product is the Bergan Comfort Carrier on wheels! Navigate through airports easily and without carrying your pet. We would suggest that you consider protecting your carrier with a quality pet pad click here. Our smallest size pet pads fit our pet carriers and provide protection against accidents from nervous pets. Be sure to order the correct size pet carrier. 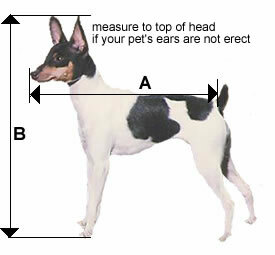 Measure your pet from the tip of nose to the base (not tip) of the tail and from the top of the head to the ground. Airlines require that dogs and cats must be able to stand up and turn around in the pet carrier. If you have any questions, please contact us toll free at 877-241-0184 or email us at custsvc@pettravelstore.com prior to placing your order. Out the cardboard it made a big difference. I have not traveled with my cat yet but I am confident that he will be comfortable in this case. Maybe too early to review as I have not used it yet. It comes with everything it says and looks to be good. My only concern now is that it smells terribly of new material and it stunk up my entire living room. I was worried about toxic effects for my parrot so I took it somewhere else to air out. I guess I will hand wash it if the smell does not get better by the time I am ready to pick up my nine week old puppy.